Based on scientific principles, our programs stress positive reinforcement and reward, not punishment. 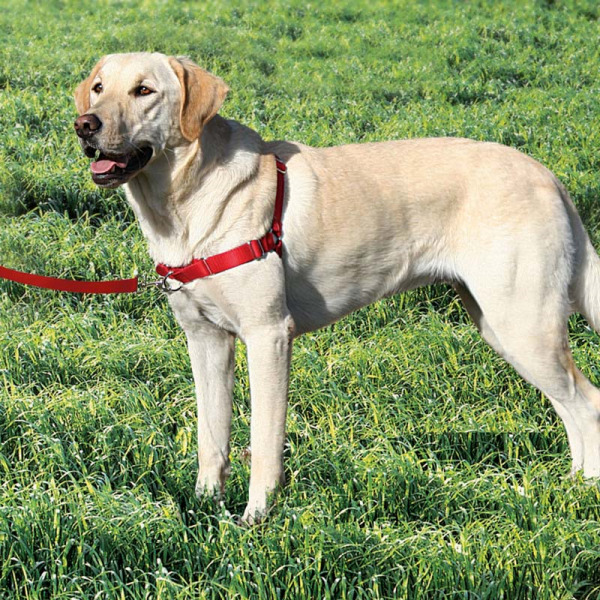 We use non-choking collars and head collars for training equipment. It is our belief that training and behavior modification should be safe, enjoyable, and successful for both the dog and the humans who love them. It is for that reason that all of our classes use Clicker Training. Note: If you are at all concerned with using food as a reward, we strongly encourage you to observe a class prior to signing up. Great for dogs of any age, the Level One Beginner Obedience class is designed to help you get started on creating a well-mannered dog that is a joy to be around! In this class, we introduce the first steps of basic training through positive reinforcement. We know that you are anxious to get started, so we offer rolling enrollment sessions, where you pay the same price as the standard class, and you still get 8 training sessions, but you choose when to start. Start this week if you'd like! The available days and times are listed below. And yes, if you choose this rolling enrollment option, bring your dog with you to the first class, because you'll be getting started right away! Please arrive a few minutes early to pay for class. Mon 7:00 PM Available Now! Start on any Monday you choose! Thur 6:00 PM Available Now! Start on any Monday you choose! Thur 7:00 PM Available Now! Start on any Monday you choose! We will credit you with an extra week of class so that you don't miss out on any training time! This is an 8-week course that meets for one hour per week.